The SuperCharger FinTech Accelerator programme kicked off its 12-week programme today by introducing 10 international start-ups as the finalists for this platform. 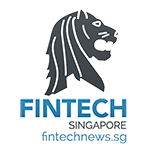 The programme comes as a partnership between leading financial institutions, Standard Chartered Bank and Allianz Malaysia, as well as strategic partner Malaysia Digital Economy Corporation (MDEC). More than 100 early-stage and late-stage scale-ups from 30 countries submitted applications for the programme. Their diverse businesses covered sub-sectors, such as insurance technology (InsurTech), regulatory technology (RegTech), payments, wealth management, artificial intelligence (AI), and blockchain, all of which represent some of the world’s most cutting-edge solutions. Capnovum is a cognitive compliance management platform that provides an up-to- date repository of regulations, obligations and regulatory news that lets financial institutions manage compliance across jurisdictions. 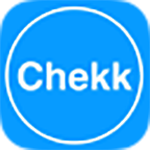 Chekk.me is a Digital Identity ecosystem where individuals are empowered to own and reuse their personal data, and businesses get a secure channel for customer interactions and data requests (eg. KYC). MyFinB helps FIs attain higher trust and better customer engagement beyond financing for enterprises. Using A.I., SMEs are guided on balance sheet management and Financiers can generate new business leads and analyse the financials quickly. 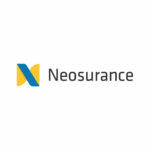 The first AI agent to offer instant contextual insurance protection and assistance through push notifications directly on your smartphone, when and where it matters most. Client suitability assessment is often processed today through paper questionaires. They are boring, poorly compliant and not scientific. 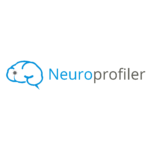 Neuroprofiler is a behavioral finance game to help financial advisors assess the investor profile of their clients in line with last financial regulations. 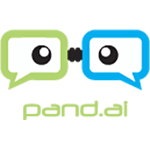 Pand.ai builds advanced AI chatbots that understands standard and non-standard English/Bahasa/Chinese, remembers what users said, and learns continuously. In other words, it makes chatbots “pandai” (clever). 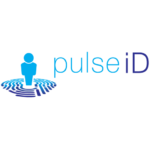 Pulse iD is an identity platform that uses geolocation data to unlock security, loyalty & identity services to banks, telcos & media clients. Headquartered in Hong Kong, our technology is on millions of smartphones. Underpinned by proprietary & highly disruptive technology, Pulse iD is backed by experienced investors and is navigating an industry segment that is experiencing exponential growth. 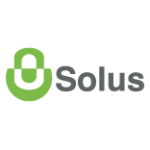 Solus is a provider of next generation, multi-factor authentication software that seamlessly integrates biometric security solutions across multiple platforms. Solus is also developing adaptive machine-learning behavioural tools that will utilise user’s device behaviour to detect and predict fraudulent behaviour beyond the core biometric authentication product. 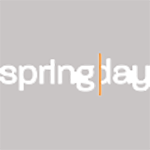 Springday powers health & wellbeing to make healthier, happier people. We use technology to create an ecosystem of health and wellbeing resources, challenges, wearable technology, face-to-face services and benefits. 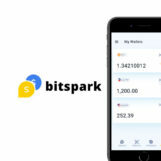 We bring these elements together in a gamified and engaging way in the form of an online platform with mobile app, easy to use and available anywhere and any time. 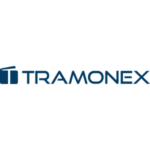 Tramonex offers a single centralised payment hub can reduce the cost of your banking infrastructure and increase efficiencies. We offer more than 130 currencies and deliver our international payment services through an online platform, our easy to use API or a turnkey white-label solution. The 10 finalists all bring unique and complementary solutions to the programme, with all featuring several cross-industry innovations. The businesses tackle problems that improve financial services, whether it comes from client security, user experience and wellbeing, new products, or intelligent services for banks. As a result, there are many potential collaboration opportunities between start-ups and SuperCharger’s institutional partners. With MDEC’s support, the programme will take place at Komune co-working space, UOA Corporate Tower, The Vertical in Bangsar South and will run until December 15 2017. The SuperCharger programme comes at an exciting time for Malaysia’s budding FinTech ecosystem. In particular, the country benefits from a high smartphone penetration of almost 70% (GSMA 2017). This enables financial service providers a powerful channel to provide access and increase usage to consumers. Malaysia’ key institutions have always been supportive of constant innovation. In 2015, Standard Chartered established its Global Collective Intelligence and Command Center (GCICC) in Malaysia with the role to create new technological solutions to improve banking using dedicated teams of software engineers and operation specialists. As for Allianz Malaysia, it has also driven new solutions through innovative partnerships, such as its recent push for usage-based insurance adoption (UBI). As for public institutions like MDEC, they are very supportive of Malaysia’s digital sectors, including e-commerce, data analytics, security practices, and FinTech. With SuperCharger programme bringing international start-ups into the acceleration programme, it directly address some known critical issues and offer new services to them, both of which complement the need of balance between market opportunity and security. SuperCharger is also hosting its Launch Day Event today at Cornerstone Wisma Selangor Dredging, where start-ups will be pitching on-stage while the audience network and celebrate the selection of these start-ups.